WELECOME TO OUR GALLERY and Apparments! We are located on a lovely glade in the heart of the Bialowieza Forest. The neighborhood of bisons and deers is our daily routine to the point that in winter they visit our garden. 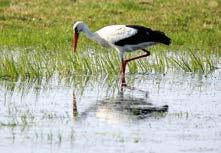 You can have a good time to find rare species of birds, living in this area. All the present silence in winter, the extraordinary purity of air, water and soil definitely distinguishes us from other regions of Poland as well as Europe. In addition to our property we have a botanical garden, with specimens of rare plants, shrubs and trees. At the same time, we are one step from civilization: convenient access by road, internet, media regardless of that, the regional climates. From our property there is a magnificent panorama of meadows and the Narewka Valley and the primitive forest of the Bialowieza Primeval Forest. Unusual place, unusual silence, unusual views, rich tradition and history since the kings and tsars times to present days. It's a unique confluence (combination) of cosy boarding-house and folk art gallery. Our property is located on a glade in a scenic village Pogorzelce close to the way between Białowieża and Stara Białowieża with its famous oaks of Polish kings and Lithuanian dukes. It is in the geometrical centre of Białowieża Forest. 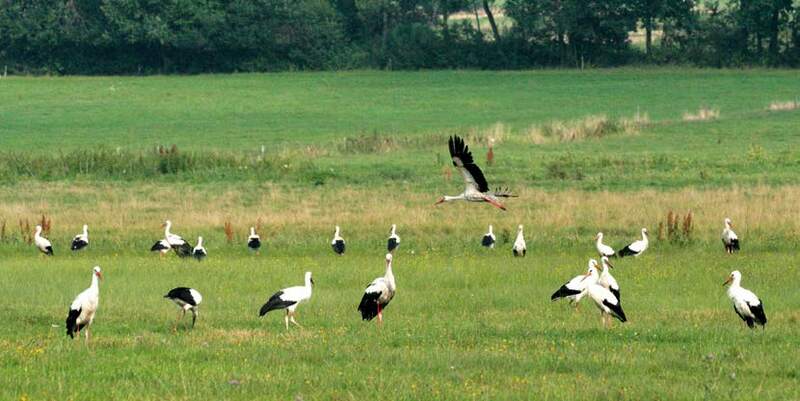 There is a big protected area which is one of the cleanest territory not only in Poland but in the European Union. Unusual pure air and lack of city's glow gives you perfect opportunity of observing the sky at night whereas water gain from snow, does not matter from what layer, is always perfect clear. Our property is situated on a small hill from which you can see one of the most beautiful and breathtaking view of Nature Reserve in Białowieża Forest. It covers an area about 4 000 square meters on which there are 3 wooden buildings covered aspens 'shavings which are excellently blended in surroundings. There are: the hosts' building, the boarding-house and the Art Gallery surrounded by rich green of grass and trees. The garden , the rockery, the pond - they are planned by a landscape architect on the basis of local species. We are very proud of diversity of our plants which can equal a regional botanical garden. Wildness and priceless advantages of primeval forest as well as comfortably equipped boarding-house give our guests possibility of spending wonderful time. For all concerned internet and TV sat are available in each apartment. When you have a little free time you can visit our gallery where you find cultural variety and introduce to artistic work of local artist and handicraftsmen. It is good possibility to buy souvenirs from Podlasie area. We have a garden with a pond, place for barbecue or bonfire at guest's disposal.